Networking is an essential skill; it’s the key to success. So why are so many of our connections superficial and transactional? And why do they get us nowhere in our personal or professional life? Maybe because we’ve lost sight of the fact that it’s not about the quantity of connections you make, but the quality of the relationships you build and nurture. 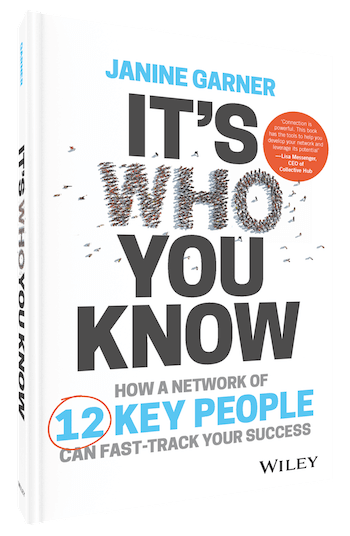 In fact, as you’ll discover in this must-read guide, the network you need might only include twelve key people—or even as few as four! future-proof your career and business ventures with a power network that evolves with you and is a non-stop source of opportunity and support. Networking still matters, but your network matters more. With It’s Who You Know, you can learn to connect with those who’ll add real value to your professional and personal development. Action plans, checklists and an online diagnostic tool help you start taking steps right away, and the emphasis on ‘doing’ over endless planning gives you the motivation you need to get up and go. Learn how to build a small, strategic and successful network that works for you, not against you. How well is your network working for you right now? Complete the Nexus Profile™ diagnostic to find out. You’re a great leader. You’re in control of your own career or business. You’re accustomed to working alone, internalising thoughts, ideas, creativity. But the business landscape is changing at an incredibly fast pace. The future outlook is one of uncertainty and constant challenges, and that ‘Me’ space you’ve lived in for so long isn’t enough anymore. To succeed on a long-term basis, you will need to engage and understand the value of your team – those who ideate, who create, who support. You will need to embrace the worth of commercial collaboration, and enter the ‘We’ space. 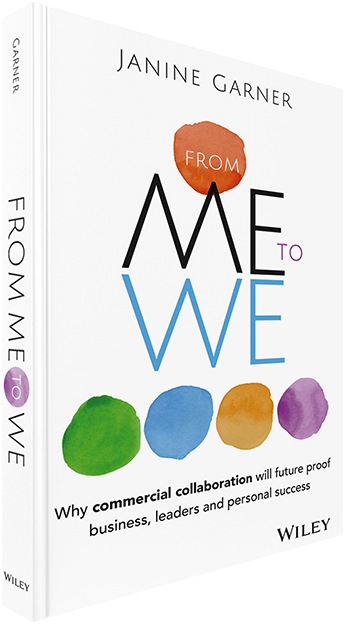 ‘From Me To We’ is a savvy guide filled with tools, ideas and suggestions for a smarter way of thinking that will position you for future commercial success. Use your voice and share insight and learnings. Apply the principles outlines in From Me to We and you will generate a highly engaged and motivated community that will future-proof your business and create success. Bulk Orders Are available with generous discounts for orders of 10 copies or more. Email [email protected] to place your order. Customised Books Available for client orders of 1000 or more with a customised cover and foreword for your business. This is a great way to impress your employees, clients, suppliers, conference attendees and to align your organisation with the collaboration message. Email [email protected] for more details.